This seven-story residence hall, opened in 1959, was extensively remodeled in 1997 into single, two- and four-person suites for men and women. 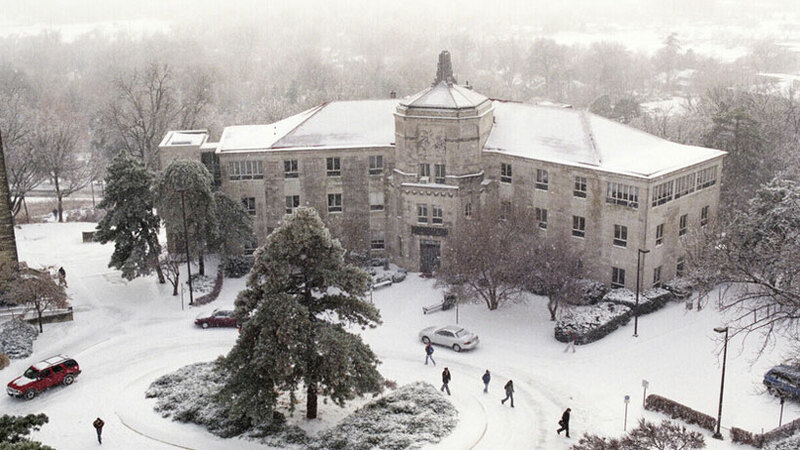 Each floor, or “house,” honors a person or tradition of excellence at KU; an honors program community is based here, and students must maintain a minimum GPA. In 1998 the cafeteria/dining hall was renovated and expanded for use as the Visitor Center and the Office of Admissions. Originally Watkins Memorial Hospital, the building opened in January 1932. It was funded by Elizabeth Miller Watkins, a doctor’s daughter and widow of Lawrence banker/financier Jabez B. Watkins, for whom it was named.